The news broke on April 19 that former National Football League star and New England Patriots player Aaron Hernandez was dead. The “shock and awe” of the details reverberated across local and national media. Hernandez was found dead in his cell at Souza-Baronowski Correctional Center in Shirley, Mass. He was serving a life sentence for murder. 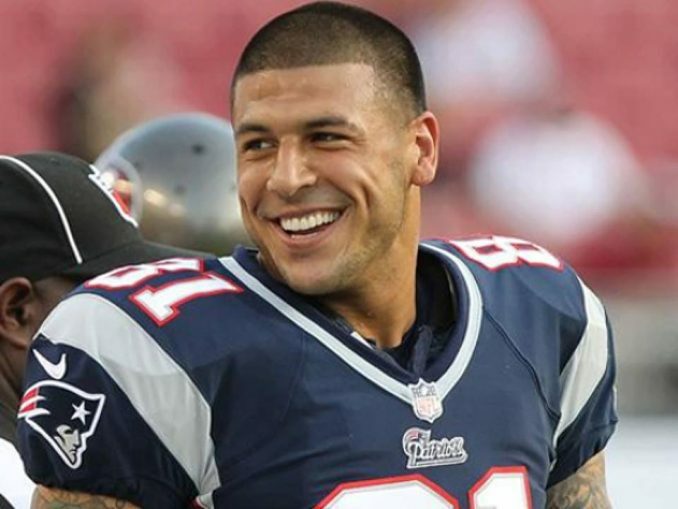 Many family members, friends, fellow football players, his lawyer and members of New England’s Black and Latinx communities refute the view that Hernandez killed himself. They are asking why he would do that when only days before he was acquitted of a double murder charge and planned to appeal his previous conviction. Whether Hernandez committed suicide or was murdered is not known. But it is certain that the Department of Correction, its gatekeepers, police, prosecutors, politicians and others in the capitalist state apparatus will not conduct an impartial, honest investigation into his death. The Hernandez family’s call for an independent investigation must be supported. His family wanted to donate his brain to Boston University to be studied for signs of Chronic Traumatic Encephalopathy, a condition suffered by football players who have had multiple concussions and by prisoners who have been battered by guards. But the medical examiner refused to release Hernandez’s brain to his family, so it could be given to the university. Only after attorney Jose Baez held a press conference in front of the medical examiner’s office, accusing it of “illegally” holding the brain against the family’s wishes, was it finally released to the university, which has a major center for the study of CTE. The state’s actions only added to the Hernandez family’s grief. This is a sickening example of the commodification of athletes of color. State officials can do whatever they want with the bodies of Black and Brown athletes, even long after their talents have been exploited and they have been thrown away. The criminalization of athletes of color is rooted in racism and exploitation. The state has viciously attacked and imprisoned Black and Brown athletes, including former NFL quarterback Michael Vick and former Olympian Marion Jones. During his term, President Barack Obama refused to posthumously pardon the great African-American boxer Jack Johnson. Hernandez was an avid athlete. He played basketball at Bristol Central High School in Connecticut. He became a star on the gridiron, earning his first All-State Honors and Championship in the 2006 Central Connecticut Southern Division. While attending the University of Florida, Hernandez garnered many accolades on the field, including an honorable mention All-American (2008) and the Consensus All-American (2009). His 111 catches were a school record for his position as a tight end. In 2010, Hernandez was the youngest player in the NFL after being drafted by the Patriots. His contribution to the team led them to two impressive seasons. In the April trial, Patriots coach Bill Belichek was subpoenaed to testify by Hernandez’s lawyers. However, he did not show up. The NFL has denied the scientific evidence brought by doctors, scientists and football players that the sport causes CTE. Neither team nor NFL officials issued sympathy statements about Hernandez’s death. Afterward, the capitalist media quickly demonized the Puerto Rican athlete. The state and media campaign got louder and more racist, inferring that Hernandez “got what he deserved” because he was “subhuman.” If people are painted that way, then their deaths can be dismissed. The character assassination of Hernandez is an extension of what happens every day to Black and Brown youth and LGBTQ people. Trump is counting on this to divide workers and poor people, including migrants, as seen in his proposed budget which slashes essential governmental services and jobs. The U.S. government spends hundreds of billions of dollars to maintain the world’s most brutal “prison-military-industrial” complex. The U.S. has the highest incarceration rate. It has 4 percent of the world’s population, yet holds 22 percent of the global prison population. Added to that are the many people on probation or parole. The real criminals are the Pentagon generals, the police, Immigration and Customs Enforcement agents, prison guards and the DOC — all part of the repressive state apparatus which commits crimes against workers and oppressed people at home and worldwide, protected by laws and courts. 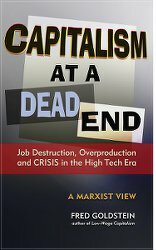 The blame for Hernandez’s death should be placed on the capitalist system which promotes murder and violence. The DOC will use Hernandez’s death as an excuse to ask for even more funding for prisons. We say, No! Prisons are concentration camps for the poor and oppressed. Tear down the walls!